Have Medicare? Watch the recording of last month’s webinar on Medicare: An In-Depth Look. 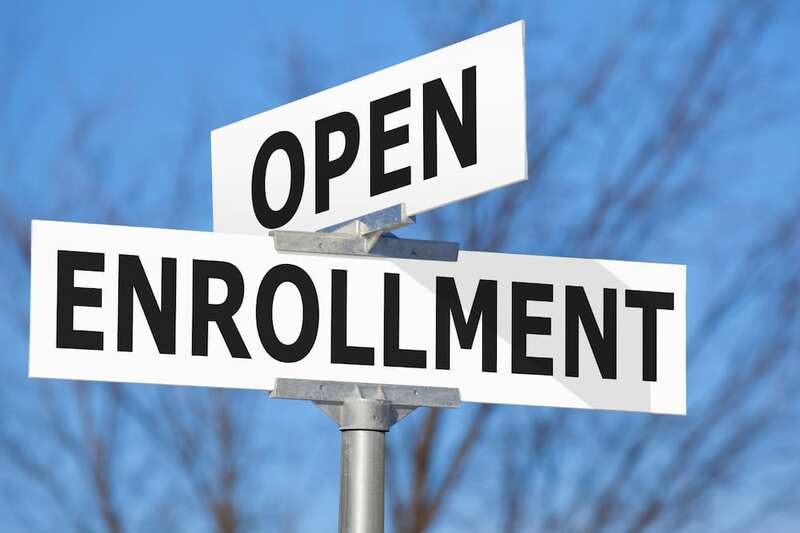 Employers: each employer has their own open enrollment period, but it often occurs in the fall. Sometimes an employer offers more than one plan to choose from, and you can switch plans during open enrollment. You can ask the person at work who handles the health insurance for more information. Marketplace – 2018: open enrollment for 2018 coverage is closed, but you may still qualify for a special enrollment period to get coverage for 2018. If you need help to choose a Marketplace plan or figure out if you qualify for Medicaid, you can visit www.HealthCare.gov or call 1-800-318-2596. You may also be able to find a local Navigator who has been trained and certified to help you enroll. Visit https://localhelp.healthcare.gov and enter your zip code. Navigators used to be available in all states, but unfortunately, the federal government has cut funding for navigators by 84% in the last two years, so there may not be a Navigator near you. There will be no navigators at all in Iowa, Montana, or New Hampshire. It is also important to know that for the first time navigators will be required to share information about short term health insurance plans. See our previous blog about these insurance options, so you don’t fall into a trap of buying inadequate health insurance coverage. And finally, for now, people with pre-existing medical conditions are protected against denials or exclusion periods in both the individual and employer health insurance markets. However, there are some legal cases that might impact those protections moving forward. In early September, a hearing was held on a lawsuit filed by 20 state attorneys general to strike down the ACA as unconstitutional. The judge seemed to agree that the law should be struck down, but we are waiting on a final ruling. Regardless of the ruling, the case will likely be appealed and ultimately reach the U.S. Supreme Court for a final decision. In response, Maryland Attorney General Brian Frosh hasfiled a lawsuitto ask the U.S. District Court of Maryland to declare that the ACA is constitutional. While we cannot know for sure how these lawsuits will be decided, we do know that they will have a very practical impact (positive or negative) on the lives of people diagnosed with cancer and other pre-existing conditions.